NEW DELHI: After Sleeve gastrectomy performed by AIIMS doctors a 20-year-old goes from 250 kgs to less than 120 kgs over a span of 2 years after the surgery. Sleeve gastrectomy is a laparoscopic fat loss surgery in which the surgeon removes a large portion of the stomach leaving a smaller stomach nearly a size of a banana to help control the appetite which aids weight loss. The 20-year-old engineering student who underwent a weight loss surgery in May 2017 at the All India Institute of Medical Sciences (AIIMS) has lost over 130 kg over a period of two years, doctors said. The patient who is a resident of Lajpat Nagar had approached doctors when he weighed 250 kg, they said. Doctors performed sleeve gastrectomy in which the size of his stomach was reduced to 100 ml by stapling out a large proportion of it. It gave the stomach a sleeve-like structure. “We put him on diet and asked him to reduce 10 kg so we operate upon him, but he could not make it. He was then admitted to the hospital for two weeks during which we made him shed around 10 kg weight,” Dr Aggarwal said. 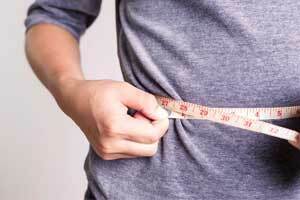 “Reducing the stomach size automatically reduces intake of food. Also, the procedure leads to hormonal changes because of which absorption of food in the blood also gets reduced and that helps with weight loss,” he said. The patent stayed in the hospital for a week or two before being discharged. The doctors put him on a low-calorie and high protein diet and suggested to follow a healthy lifestyle including some exercise. “He would come for a follow up after every three months and lost 130 kg over a period of two years,” Dr Aggarwal said. “Bariatric surgery also helps patients suffering from diabetes and fatty liver and many people are not aware of this. This kind of surgery is also beneficial in advanced liver diseases,” Dr Aggarwal explained.